Ever wonder how to get rid of Fruit Flies? Wonder no more. 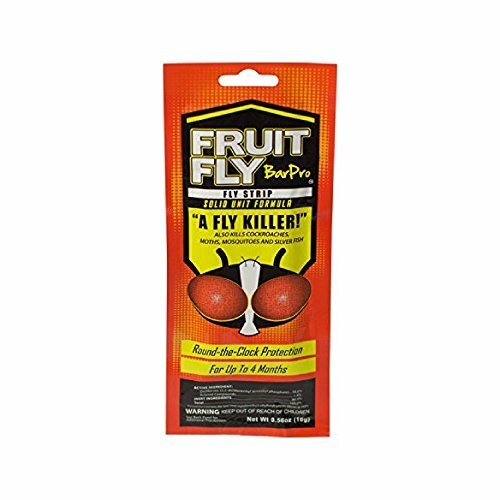 Fruit Fly BarPro gets rid of Fruit Flies, Flies, Cockroaches, Spider Mites, Gnats, Mosquitoes, and Silverfish! •Our Small, Hard, Plastic strip releases CLEAN & ODORLESS Vapor that is safe when used properly. •Each Strip eliminates current infestation AND prevents future infestations within treatment space. •Multiple Strips may be needed for larger infestations. •Results are GUARANTEED when used properly. If you have any questions about this product by Fruit Fly BarPro, contact us by completing and submitting the form below. If you are looking for a specif part number, please include it with your message.